At their Presentation ceremony on Friday, 23 November, John Baron MP and other Trustees of The Fun Walk Trust – a registered charity – awarded bonus pot cheques to all those charities and good causes which took part in this year’s Fun Walk, held at Barleylands Farm on Sunday, 2 September. Because of the generosity of local businesses and individuals, each project receives a bonus over and above what they raise themselves in sponsorship on the day. This year, for every £100 raised by projects in sponsorship, the bonus pot added £65. 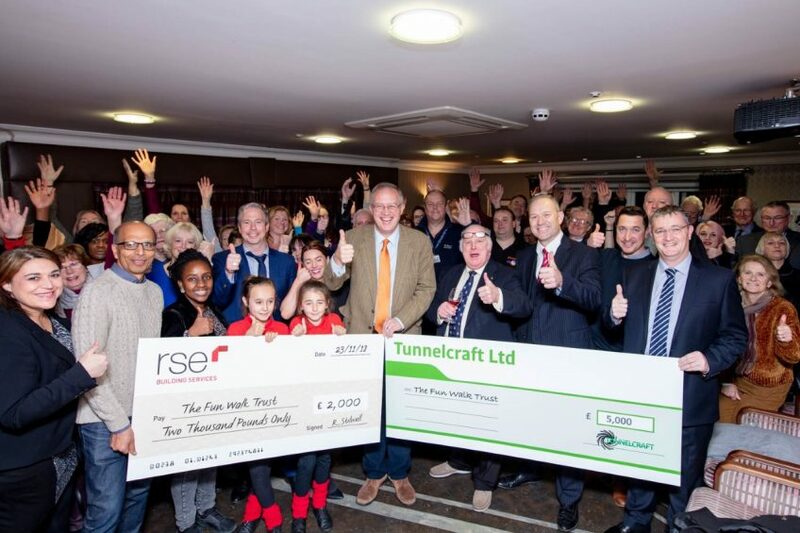 The total monies raised both by the projects and bonus pot sponsors came to £100,000 – bringing the total monies raised for local causes to £1,064,000 since the Fun Walk started in 2002. Mr Baron took the opportunity to thank all those who had helped over the years to make this initiative a success, including previous bonus pot sponsors. He also gave notice that, whilst the annual walk would continue, a change of guard as to the organisation is now being planned in order carry the event forward. Next year’s walk is scheduled for 8 September. Mr Baron said: “The 2018 Fun Walk has been another huge success and brings the total monies raised for good causes since 2002 to over £1,000,000. Our thanks go to all who have helped along this journey, including our extensive family of volunteers and past and present bonus pot sponsors. “Our thanks also go to Barleylands Farm for hosting the Walk and to Hallmark Care Homes for hosting the presentation evening, and to the many others who have helped including Jim Shrubb, our marshals and accountants Hunt Smee and Co.